My kids simply adore pancakes, and honestly , I did too when I was growing up!! 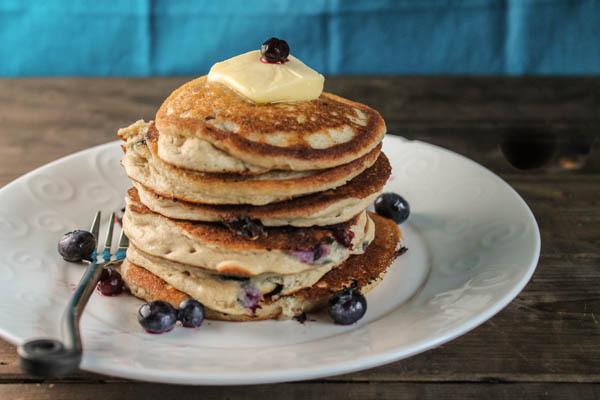 As this food conscientious mom knows, pancakes in there normal state aren’t necessarily health food…and I feel strongly about feeding my kids with healthy fats and protein at their breakfast meal. Sometimes you have to get a bit creative. These pancakes came about as another nutrient dense, yet grain free alternative to offer my kiddos as a nourishing school send-off. The eggs, kefir, and almond flour all provide healthy fats and protein. If you are not familiar with kefir, it is like a drinkable yogurt. You could use buttermilk instead, or some favorite unsweetened yogurt with enough milk added to make it drinkable. It is good stuff, and in it’s uncooked state it also provided loads of healthy probiotics for tummies! To minimize the amount of pure maple syrup my kids ingest, we often make a berry ‘syrup.‘ They love it just as well, and the sugars are nominal compared to the maple syrup by itself! Oh, I love the idea of berry syrup! Yum. Those do look pretty perfect. 😉 Thanks for sharing them at Savoring Saturdays! 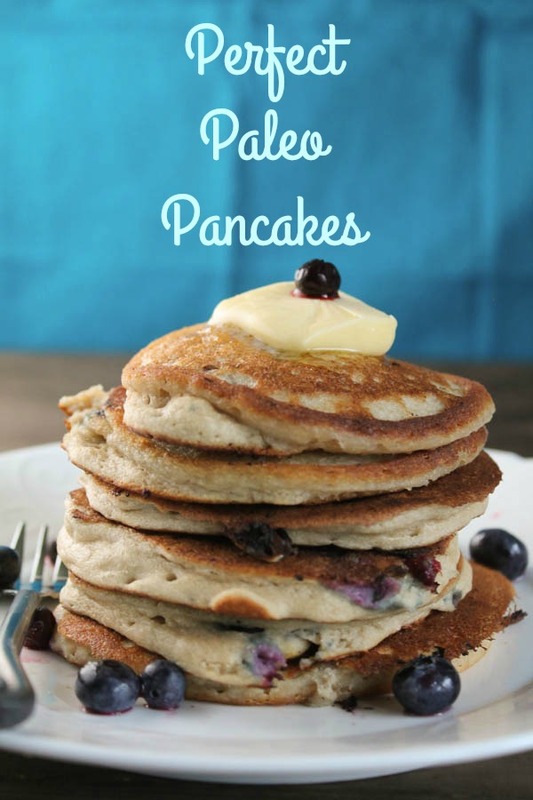 My hubby is a huge pancake lover so thank you for sharing your healthy and delicious Perfect Paleo Pancakes with us at the Healthy, Happy, Green and Natural Party Blog Hop. I’m Pinning and sharing. I was so interested to see that you made these lovely pancakes with kefir! 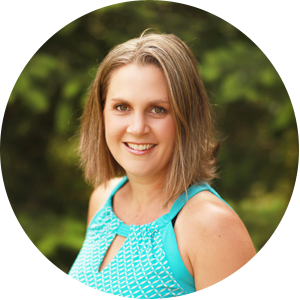 Thank you for sharing this wholesome Paleo recipe with us at the Hearth and Soul Hop. Stumbled and shared. Yummy! These pancakes look so good!